A review of 1,138 severely injured children in New South Wales (NSW) identified that children treated at adult trauma centres were 3 to 6 times less likely to survive than those who received definitive treatment at a paediatric trauma centre. Yet, there has been no comprehensive assessment of the processes of care and the systems for treating severe paediatric injury in Australia, nor have any strategies been developed to improve health care services and health outcomes. This research is identifying the most effective treatment pathways to ensure the best possible health outcomes for seriously injured children. 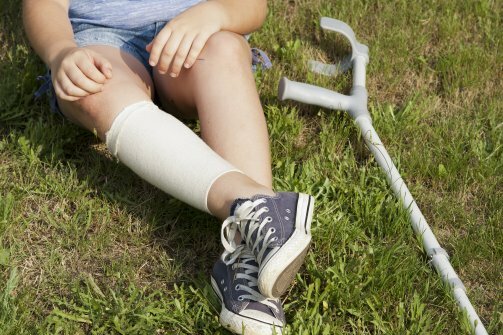 This research has involved a review of care provision, care pathways, and survival following severe paediatric injury in NSW. Pre-hospital and in-hospital care provision was peer-reviewed, paediatric trauma outcomes, such as mortality and function, monitored and health service delivery outcomes, such as cost and hospital length of stay, have been assessed. The peer-review panel identified that non-cuffed endotracheal tubes were being used NSW Ambulance paramedics and that the use of these tubes was resulting in potential compromised ventilation for this patient group, and children were requiring reintubation on arrival to hospital. These preliminary findings were formally communicated to NSW Ambulance in October 2016. At the time of receiving the preliminary findings NSW Ambulance were in the process of reviewing airway management practices, and this provided further evidence for change. NSW Ambulance has since changed their practice from using non-cuffed endotracheal tubes to cuffed tubes for paediatric airway management. Curtis K. Mitchell R. McCarthy A. Wilson K. Van C. Kennedy B. Tall G. Holland A. Foster K. Dickinson S. Stelfox H. (2017) Development of the major trauma case review tool. Scandinavian Journal of Trauma, Resuscitation and Emergency Medicine 25:20. Curtis K. McCarthy A. Mitchell R. Black D. Foster K. Jan S. Burns B. Tall G. Rigby O. Kennedy B. Holland A. (2016) Paediatric trauma systems and their impact on the health outcomes of severely injured children: protocol for a mixed methods cohort study. Scandinavian Journal of Trauma, Resuscitation and Emergency Medicine 24(1): 1-8.